Although organizations that have migrated to Office 365 or G Suite have more options for email security than on-premises customers do, it can be hard to identify the differences in approach and technology. Frankly, the solutions all sort of sound the same. 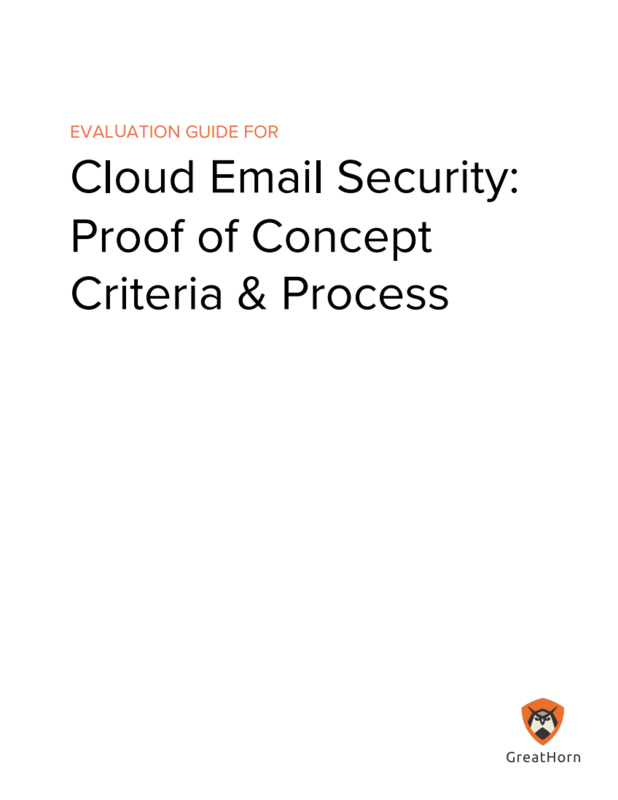 To help cut through the marketing noise, we've developed this 12-page Evaluation Guide to highlight core capabilities - around threat intelligence, detection, remediation, and response - that O365 and G Suite customers should be looking at when evaluating an email security solution. We won't try to hide it - we obviously have a bias - but hopefully you'll find this guide to be a great starting point as you consider your evaluation criteria and the process around running a proof of concept or pilot. Download the Evaluation Guide now!